You'll most likely want to be saving seeds from heirloom plants. Heirloom can be a broad term, but generally means it is a plant that grew from a seed that had been naturally pollinated. Heirloom plants do not always create uniform produce or bumper crop yields, so keep this in mind, if that is important to you. Generally the heirloom plants are labeled in the nursery as heirloom. Hybrid plants are modified in the field/lab to produce plants that create higher yields,e tc. You can try saving hybrid seeds but you may get inconsistent results such as: not produce anything at all or you may get a different variety than you originally harvested the plant from say a large tomatoe and next years seeds you saved grow a cherry tomatoe plant. That is because they were genetically modified from different varieties. Store all seeds once they are very dry. Store them in a cool or cold, dry place. 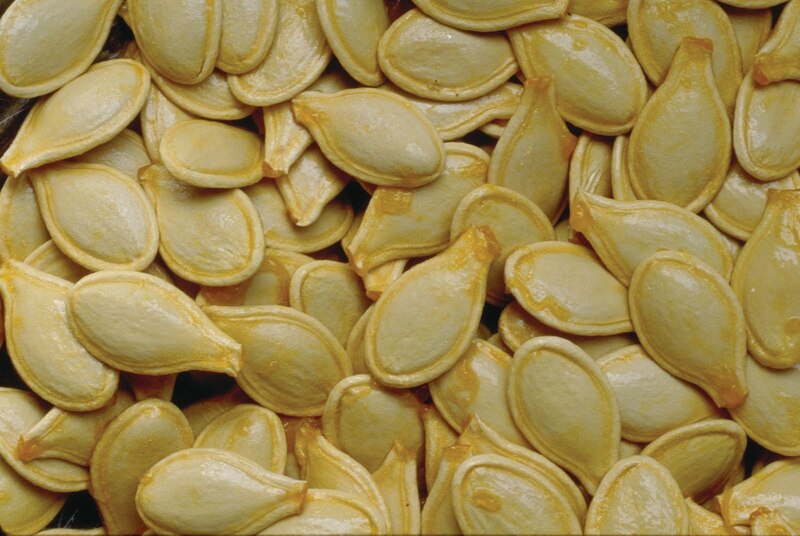 Freeze or refrigerate seeds with packets of silica gel or powdered milk to keep them dry. They can last 4-8 years if stored properly. Heat will destroy seeds. I stick all my labeled bags in one quart sized canning jar with lid and store it in the back of the freezer. Seeds are dry enough and ready to store when they are capable of breaking when folded in half. To save Tomato seeds: Crush the tomatoes adn let them ferment in a bucket for about 3 days. This fermenting will help disolve the jelly around the seeds, as well as producing antibiotics that help control seed born diseases to the future plant such as bacterial spot and canker. After about 3 days, the seeds will sink to the bottom. Pour everything off, rinse the seeds, and lay them on paper towels to dry for several days. Store in a bag or envelope. To save Squash seeds: Harvest the squash when it is ripe and hard. Set squash aside in a bucket for about 2 weeks. Cut it open and scrape out the seeds. Rinse the pulp away and dry seeds on paper towels for several days. Dry them very well. Store in a bag or envelope. To save Lettuce seeds: Let the lettuce plants go to seed. Put a pillowcase over the seed head adn shake the seeds off. Store in a bag or envelope. To save Bean and Pea seeds: harvest the bean pods. Lay them out on paper towels to dry . Open them up and pull the seeds out. Store in a bag or envelope. To save Pepper seeds: Cut the bottom off of the pepper and carefully reach in and strip the seeds from the inside. They may come out in a large cluster. Spread seeds out onto a paper towel to dry for several days. Store in a bag or envelope.